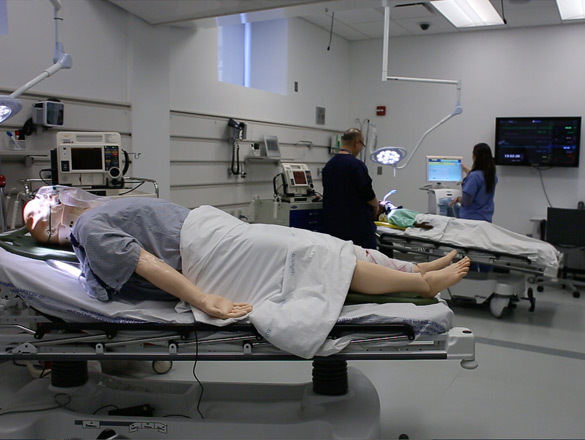 The north wing has five simulation rooms each with its own control room where instructors can operate mannequins and record the event for student/teacher analysis. They can be configured in many ways. 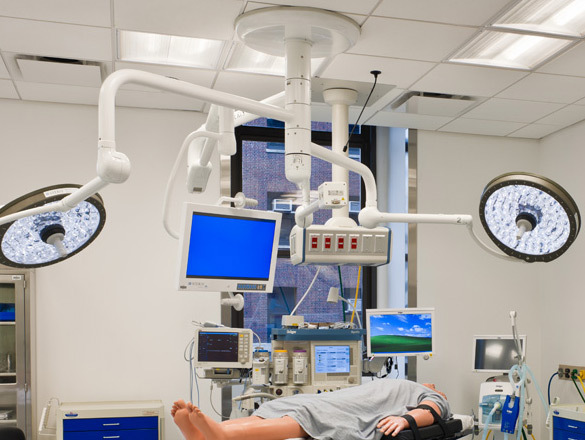 Two rooms are set up as operating rooms complete with operating tables, anesthetic machines and basic gases. Other are often configured as labor and delivery rooms, neo native intensive care rooms and trauma bays. 5 Rooms each with a dedicated control room. Each room with 3 cameras and a large display monitor. 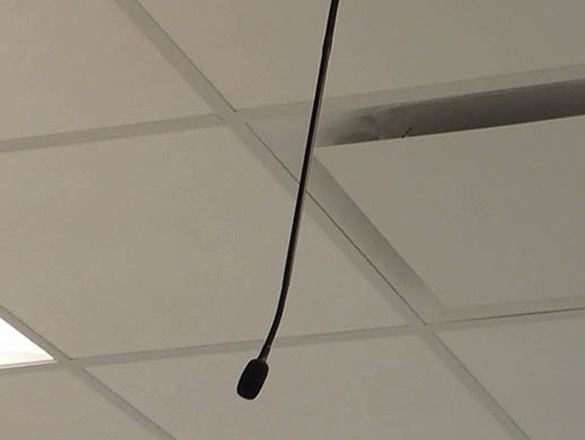 2 drop-ceiling mics in each bay for recording. 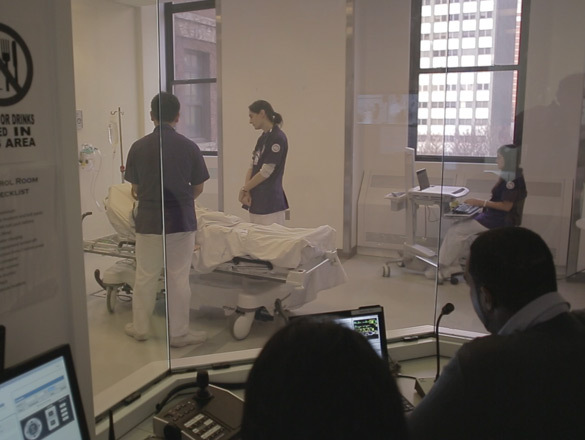 Two rooms with Steris lights and camera for OR room simulations. 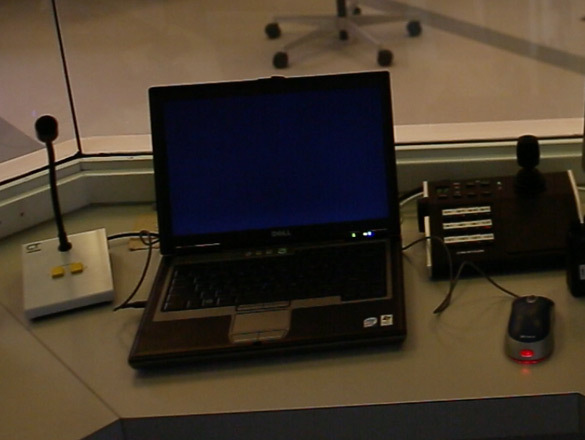 Each control room has dedicated camera control and overhead paging capabilities. Wireless headsets for one or two way communication for confederates. 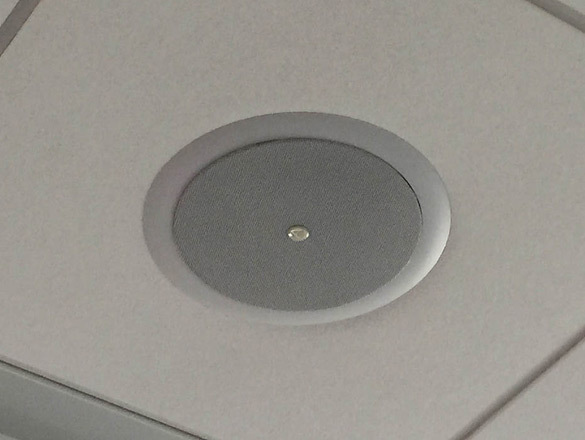 Pillow speaker capability to allow users to play as patients using the desktop mic in each control room. 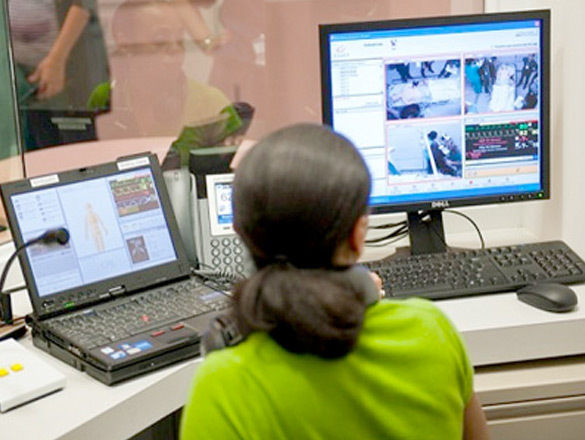 EMS software to allow video capture at the center. 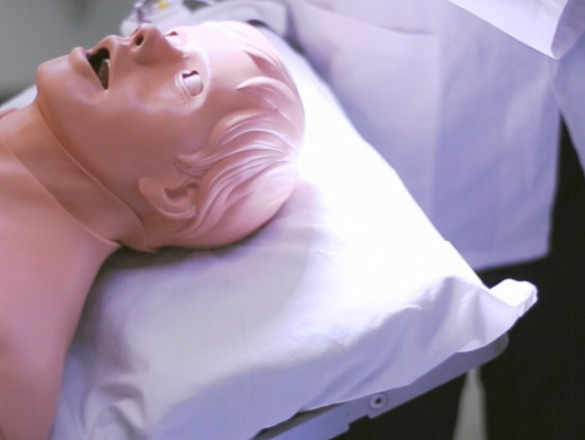 NYSIM has over 17 high teach mannequins with many available ages and simulation scenarios.